It’ for synchronization of data between a mobile phone (e.g. the Windows phone) and the Windows version of time punch. When recording time at the mobile device, there’s no direct connection to the TimePunch Database in order to store the time entries there. Therefore it was necessary to establish a mechanism to synchronize time entries from external devices (e.g. a Smartphone) even without a direct database connection to your TimePunch database. 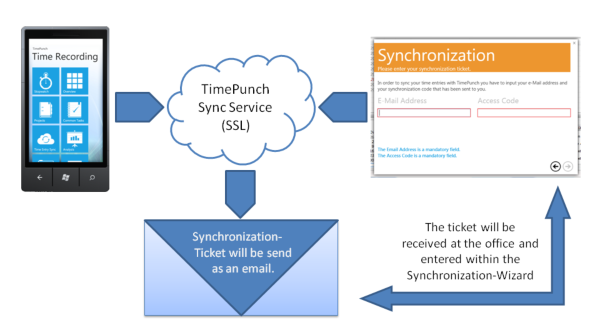 Therefore we created the TimePunch Synchronization Wizard, because it closes the gap between TimePunch in your office and the mobile time recording with TimePunch Mobile. 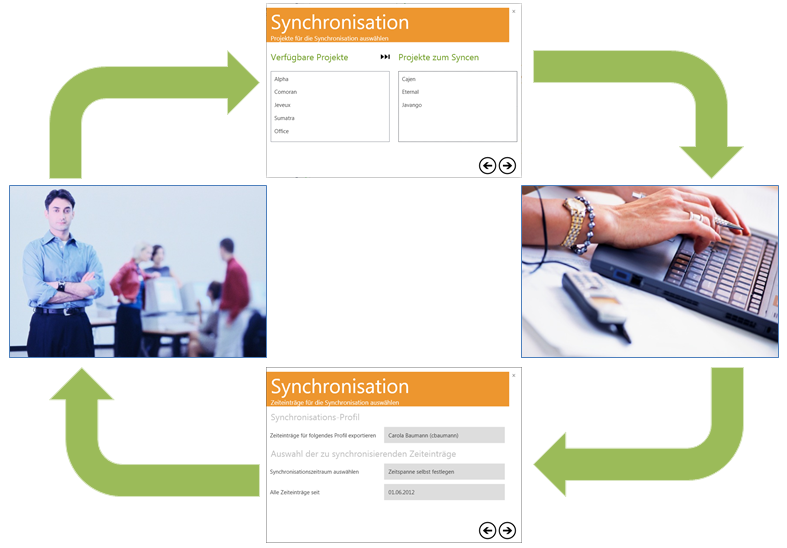 Using the synchronisation wizard, you can implement Offline Scenarios. Due to the possibility to send project definitions and time entries to other instances of TimePunch, it’s possible to use notebooks for time recording, even if they are not directly attached to the office network. All necessary project definitions can be send from the office to the responsible employee in the field. He can retrieve the project definitions and start time tracking at his Notebook. After a defined period of time, or whenever it’s needed, he can send back his recorded times to office for reporting purposes.